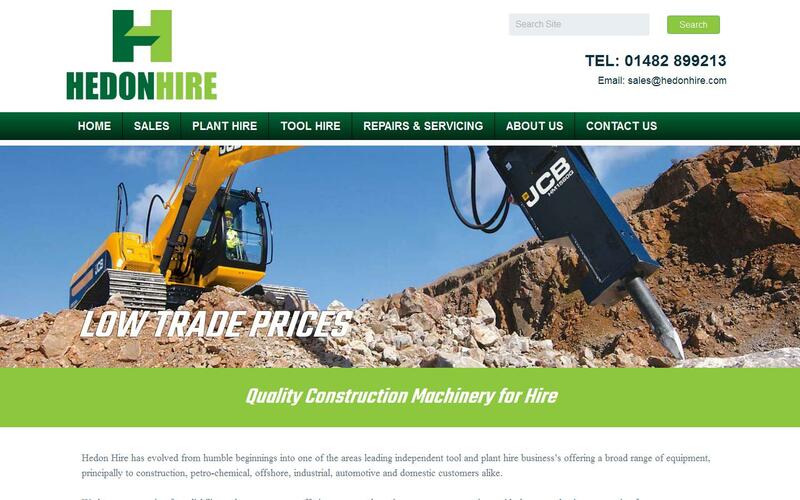 Hedon Hire has evolved from humble beginnings into one of the areas leading independent tool and plant hire business’s offering a broad range of equipment, principally to construction, petro-chemical, offshore, industrial, automotive and domestic customers alike. We have a reputation for reliability and customer care offering a personal service to ensure we continue with the repeat business we strive for. With our industry profile we are capable of offering extremely competitive rates for either one off or long term hire. We have specialist tools and equipment along with typical plant hire stock to ensure we can cater for the peaks and troughs the industry often dictates. Our stock is maintained regardless of cost and is regularly renewed allowing some of our regular customers to benefit in the purchase of heavily reduced plant items we no longer have a requirement for.